Last June, the Island lost Luke Gurney, an incredible husband, father and commercial fisherman. 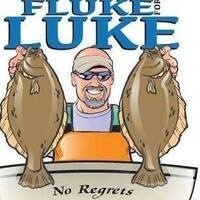 A celebration of his love of fishing, and a way to support raising funds for his two sons' college education, the Fluke for Luke tournament will give participants, sponsors, and volunteers an opportunity to support the Gurney family and commemorate Luke. In addition to the fishing contest, the event will include a silent auction, raffle and cookout. The fishing tournament will take place on Saturday and Sunday. The awards ceremony, silent auction and cookout will be held on Sunday at the PA Club.